Want to Become a Class Monitor? Learning is a major component of doing business and delivering an exceptional customer service experience. At any given time there could be more than 80,000 real estate agents practicing in Arizona. How are you going to set yourself apart? 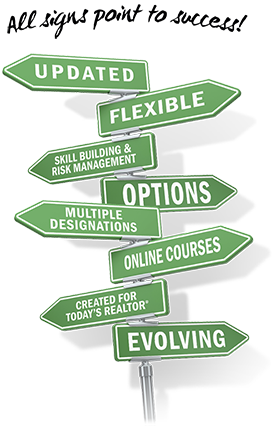 The answer: GRI, the Graduate REALTOR® Institute designation! Professional standards (NAR code of ethics, standards of practice and arbitration/mediation). Serve and protect their clients. Because of their understanding of new technology, laws, and procedures, GRI designees are better able to serve and protect their increasingly sophisticated clients.